Ancient fossils faeces found in central Spain belonged to fish-eating carnivores from the Early Cretaceous, according to a study published on May 23, 2018 in the open-access journal PLOS ONE by Sandra Barrios de Pedro from the Universidad Autónoma de Madrid, Spain, and colleagues. Fossilized faeces, or coprolites, provide unique clues about the diet and feeding behaviors of extinct animals. These fossils are relatively abundant in marine and terrestrial sediments, but coprolites from river, lake, or wetland environments are harder to find. In this study, the research team analyzed a large collection of coprolites found in freshwater sediments dating from about 129 to 125 million years ago, at the Las Hoyas site in central Spain. The researchers selected 433 coprolites from a collection of almost 2,000 and then analyzed their shape, contents, and chemical composition. The specimens varied widely in shape and size, suggesting they belonged to a diverse range of aquatic vertebrates. These animals were likely carnivores that fed mainly on fish, such as ray-finned fishes and crocodiles, because their faeces were filled with bits of fish scales and small fish bones. This hypothesis was supported by chemical analyses, which revealed large amounts of bone residues in the coprolites. These findings uncover some of the feeding behaviors of Early Cretaceous aquatic vertebrates and support previous fossil evidence suggesting that Las Hoyas was a rich and diverse wetland ecosystem. 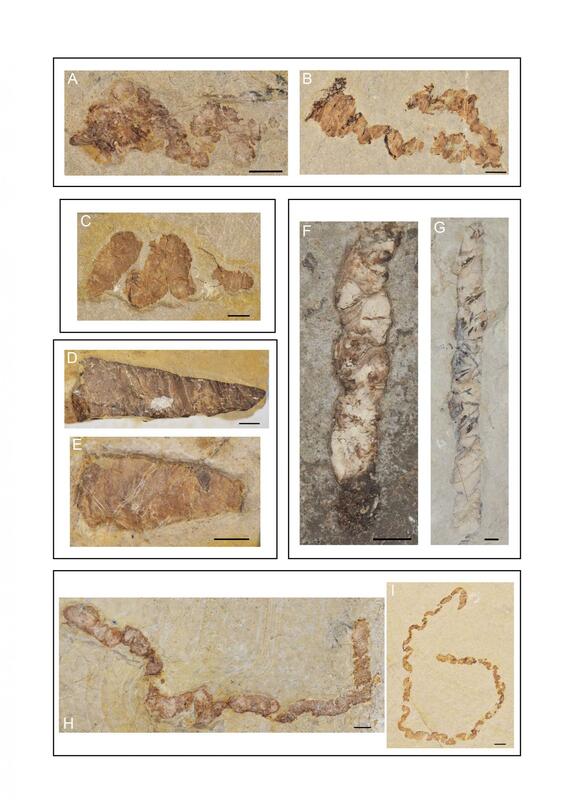 "Hundreds of coprolites from the early Cretaceous of Las Hoyas show that most of the coprolites were produced by carnivorous animals with ichtyophagous diets," says Barrios de Pedro. "The coprolites' content reveal differences on the efficacy of the digestive processes of the producers." Funding: This work is financed by the Spanish Ministerio de Economía y Competitividad (MINECO) thorough the project CGL2013-42643P, and the PhD grant BES2014-070985, associated to this project. http://www.idi.mineco.gob.es/. The funders had no role in study design, data collection and analysis, decision to publish, or preparation of the manuscript.